It's a cake made without most of the cake ingredients! And it somehow works! I made this Vegan Lemon Lime Cake from this recipe. Next time I'll use gluten free self-raising flour to make it rise a bit more (I used a gluten free White Mix). 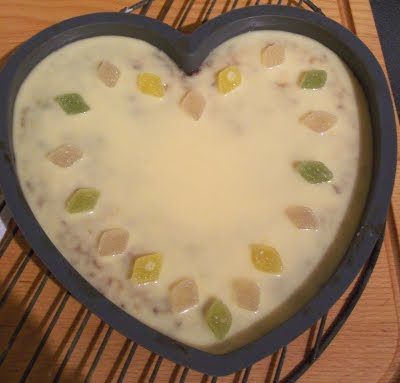 My other tweaks were: added yellow food colouring to the icing and I added Limoncello liqueur to the cake mix and icing. I also did what someone suggested in the comments and used coconut oil as well as vegetable oil. If you can't eat eggs like me, defo give this a go! This recipe is perfect for using up old, flat or not very nice cider. And any meat that you may have going spare. Like most of my recipes, this was born out of poverty and needing to use up odds and sods from the fridge - but turned out to be delicious and another I'll definitely add to the recipe folder. Win a Kindle and a range of Free From Goodies just by signing up to the newsletter at Foods You Can! Not sure if I would substitute my usual gluten free pitta bread pizzas for a 'proper' pizza base as I like the crispiness of the pitta, however it's good to have the option there and to feel like I'm eating proper pizza slices. 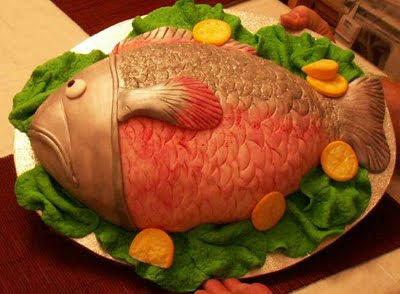 Forgot to take any photos of my homemade gluten free fishcakes so I have used a photo of a 'fish cake' instead. Looks appetising, I'm sure you'll agree. Fishcakes remind me of my maternal Nan who passed away last August. She was always rustling something up in the kitchen and was almost obsessively dedicated to filling the bellies of anyone who visited her. Her fishcakes were dusted with white flour and shallow fried which gave them a fantastic crispy coating. I think I have finally found a gluten free alternative that adds colour as well as flavour. Tapioca is used a lot in gluten free cooking but I'd never tried the infamous Tapioca pudding. I found a tin in Morrisons and gave it a try. The texture is just as people describe - like frog spawn - and the taste is very similar to rice pudding. I tried the rest of the tin another time with fresh strawberries and it was infinitely better. Though I think I'll stick to rice pudding in future! However if you are either rice or gluten (or both) intolerant then this could be for you! 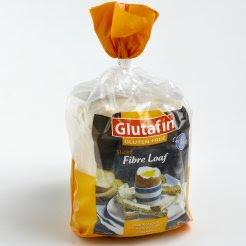 A sample of the new Glutafin gluten free bread arrived the other day. The box promised that the bread would be 'ready to eat' with 'no need to refresh'. Well, it was breakfast time and I was hungry, so I popped 2 slices in the toaster. Delicious. And surprisingly big slices. At lunchtime, I filled the other 2 slices with tuna salad. No toasting required. Again great taste and absolutely no crumbling and no holes. With gluten free bread, you usually feel as though a mouse has already had a go at your bread before you and it seems to turn into a thousand pieces a millisecond before it reaches your mouth. Not so with this bread. I must admit that the bread itself is not the tastiest on the market but that's what toppings and fillings are for, right? Best of all, this bread also appears to be egg free. At present only DS bread is also egg free.